ICM designs and manufactures its own medium or high-speed feeding systems. Our great know-how gives us hence a complete control of our automatic assembly machines’ feeding. 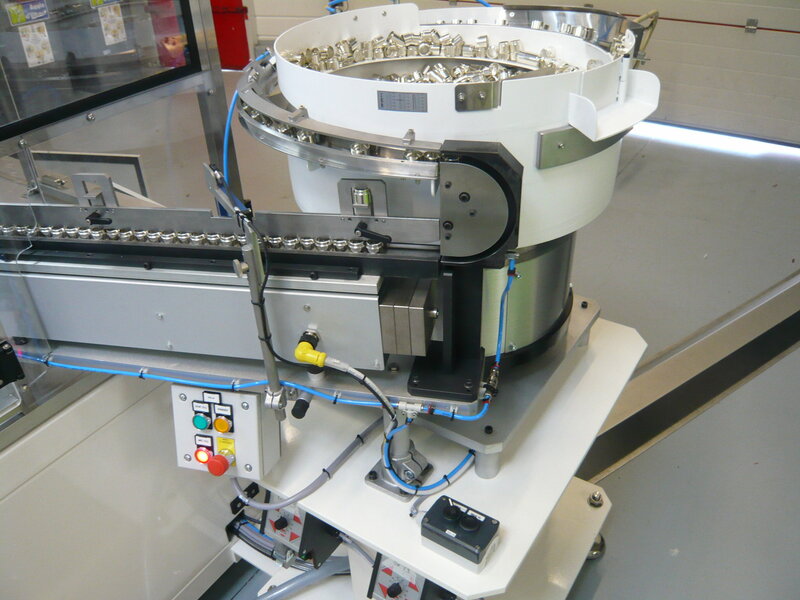 Precise and accurate distribution of the components is the basis for an efficient and economical automation of assembly lines and is therefore indispensable. 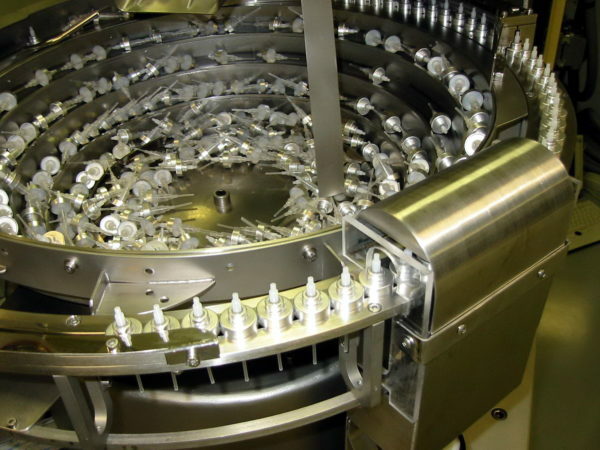 The functions storage, sorting, orientating, allocating, positioning and inserting have to be performed quickly, safely and without damaging the product. 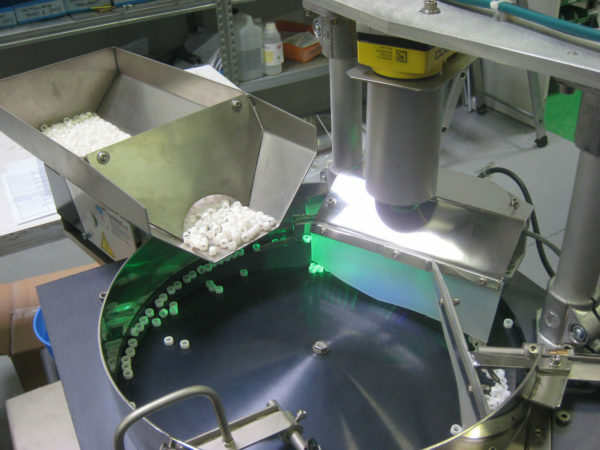 We adapt our feeding systems to the complexity of the component’s distribution and to your special requirements (use in clean or sterile room for the medical industry for example) while offering you a knowledgeable and personalized advice. 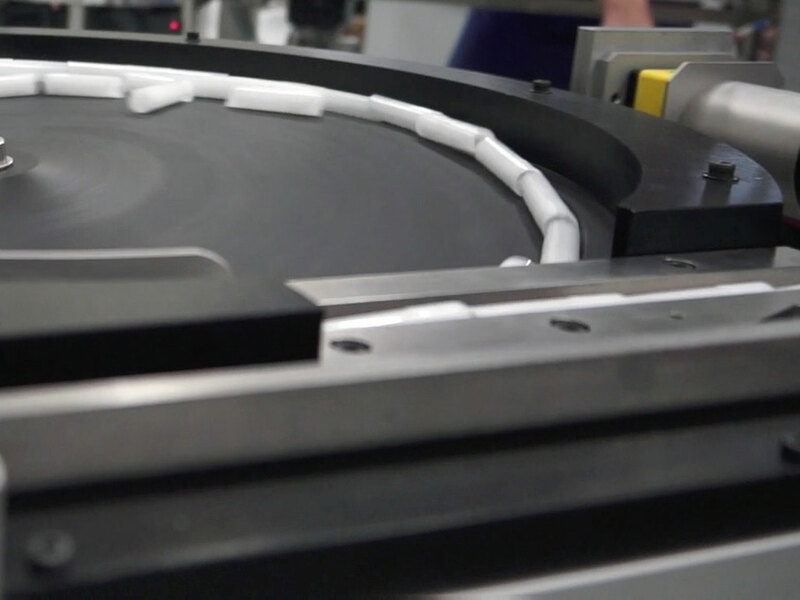 Our solutions guarantee a perfect integration while optimizing the material’s reliability and manufacturing costs. 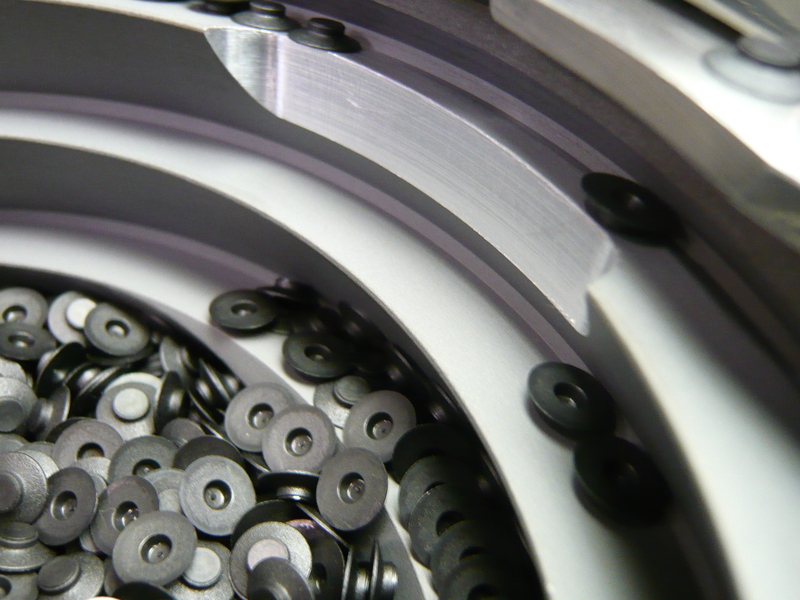 ICM is the official distributor of the brand Brovind. The vibratory bows feeder makes the automatic feeding of the assembly workstations possible. 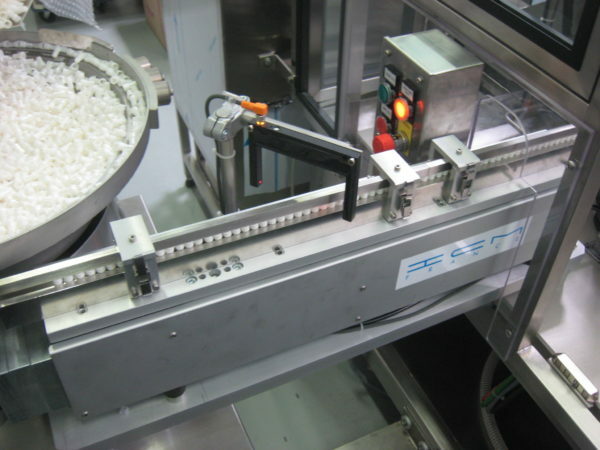 This feeding system leads and positions more or less voluminous parts, stored in bulk, to the next workstation such as assembly, control or packaging machines. 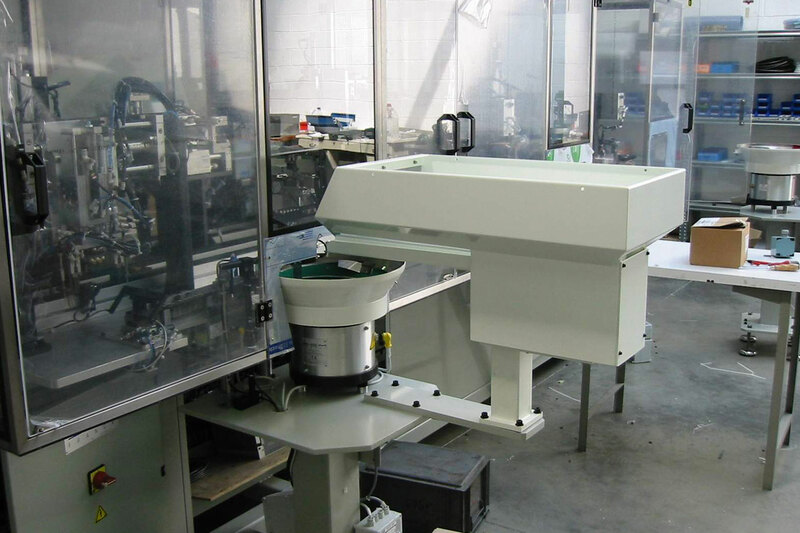 Composed of four main parts: the base, the bowl, springs and one or more coils, a vibratory feeder is usually placed under a hopper which allows autonomous operation between two supplies. 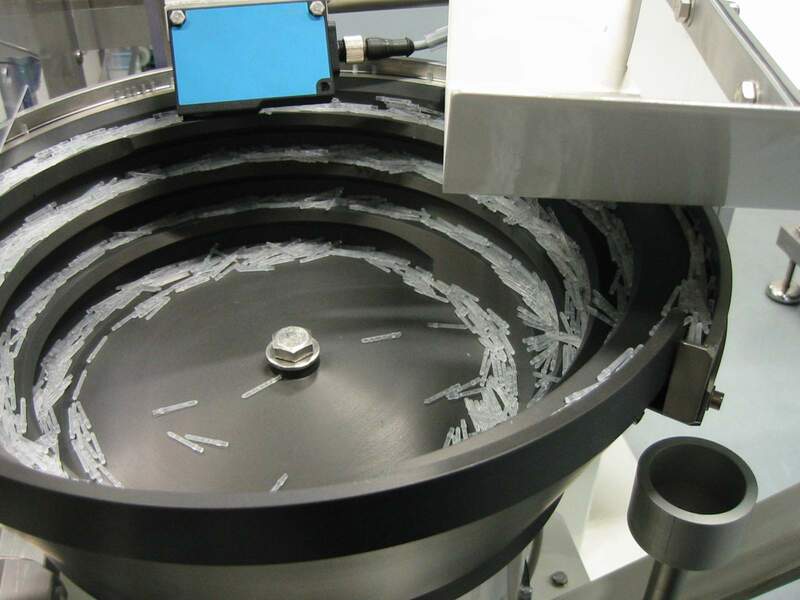 The bowls of our vibratory feeders can be in stainless steel or polyamide and with different coatings (Rilsan, Nuflon, microbead, epoxy, polyurethane, neoprene, …), chosen according to the material of the workpiece. 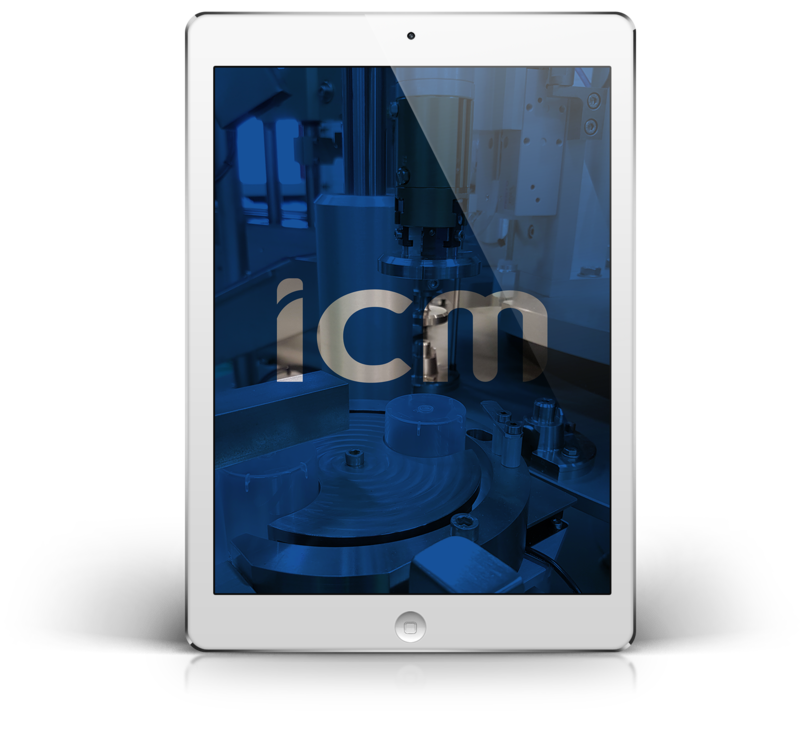 ICM offers a wide range of bowls, with diameters from 80mm to 1100mm. 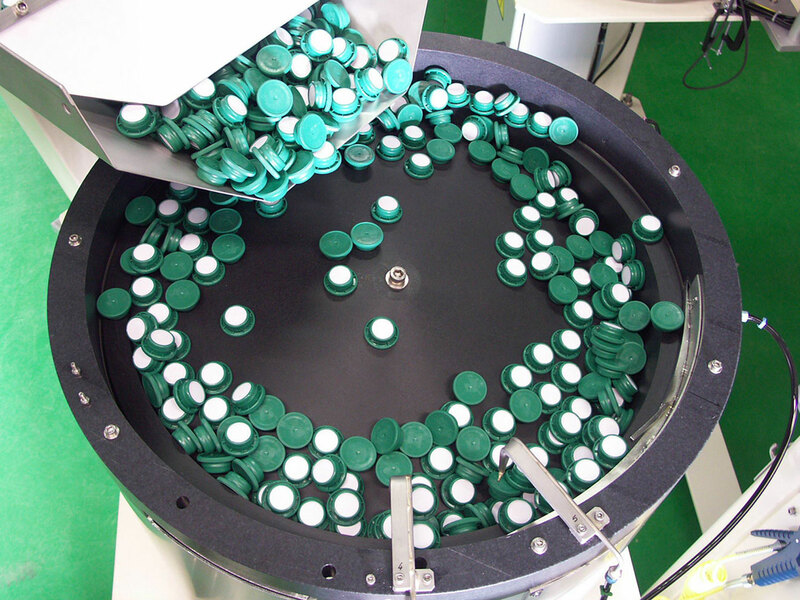 The centrifugal feeder is a system for high-speed feeding (up to 1000 parts/min) of the subsequent workstations such as assembly, control or packaging machines. Silent and vibration free, our centrifugal feeders are particularly designed to distribute and guide fragile and small parts in plastic, rubber or metal. Our bowls are entirely tailored by our technicians to best meet your needs (output rate, type of workpiece, continuously adjustable, diameter, …). ICM offers a wide range of linear feeders to transport parts from the bowls to the assembly machine. Our range consists of vibrating rails, fluid rails and conveyor belts, of different lengths, in order to adapt best to the properties of the component and your requirements. 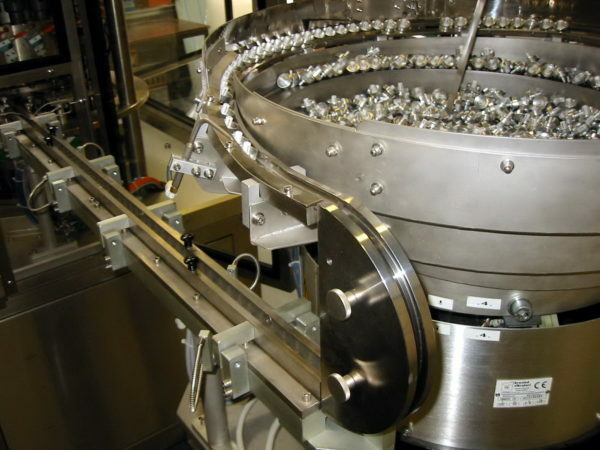 While maintaining the orientation of the components, linear feeders also provide buffer storage upstream of the special machine to ensure a fluid industrial process. A vibrating hopper is generally used upstream of a vibrating or centrifugal bowl in order to feed it and thus increase its autonomy. ICM’s hoppers come with several standard storage tank volumes (5, 10, 15, 30, 50, 70 and 100 liters), but our engineering department can design a customized hopper for you. Our hoppers are made of stainless steel and can be delivered with different coatings according to your needs. 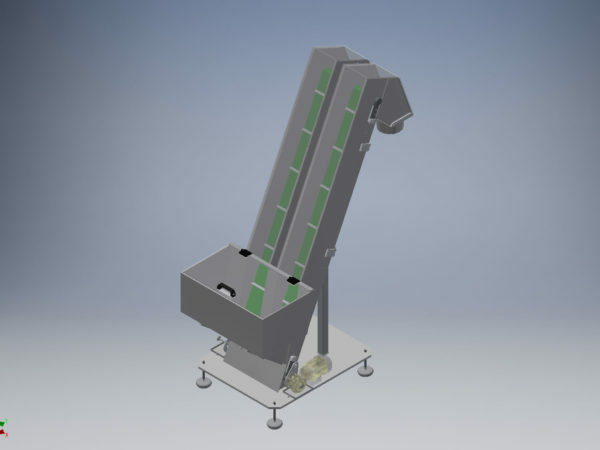 ICM offers as well the option of integrating fixed or mobile feet (rotation, elevation) in order to facilitate the filling of the hopper. Just like our vibrating hopper, the elevator can feed a bowl with parts to increase its autonomy, with a loading height of less than 1100mm to ensure maximum ergonomics for your operators. 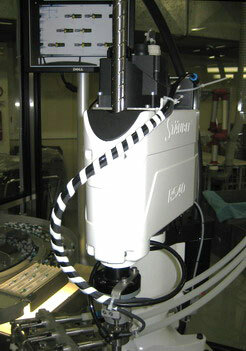 ICM offers 2 types of lifting hoppers: single or double. 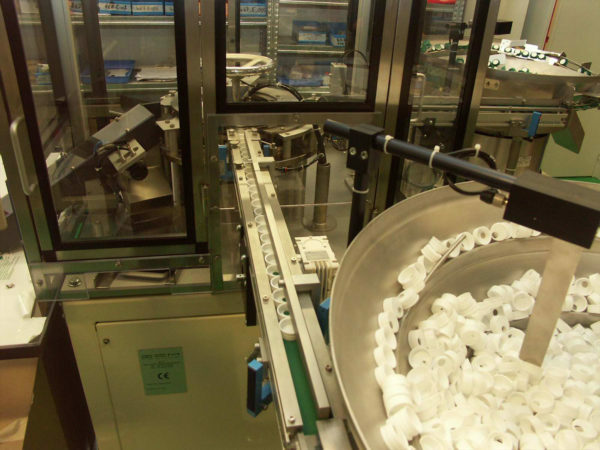 The latter makes it possible to feed two bowls with the same components from one single hopper. Each of our elevators is equipped with a trough with a variable volume ranging from 120l to 250l. The volume of the tank is determined not only based on the desired autonomy but also in order to limit the damage of the parts. 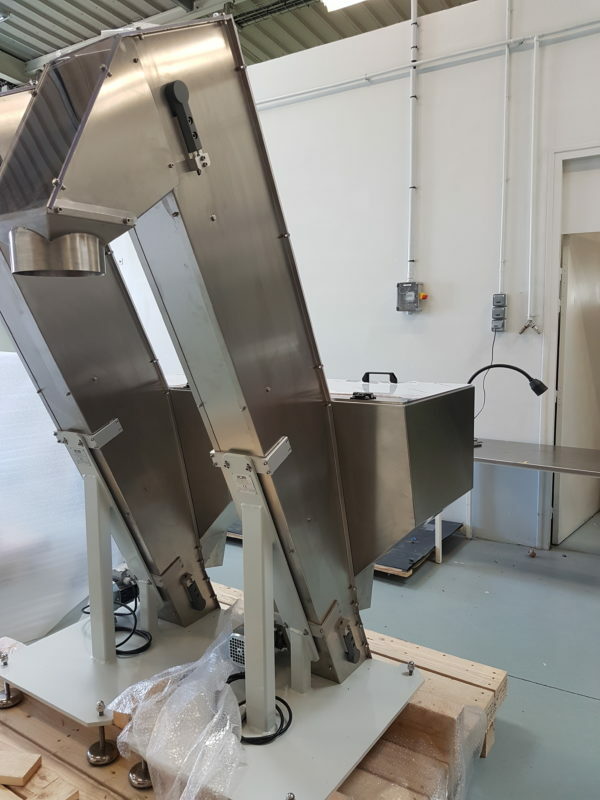 Additionally, our design office will customize your elevator regarding the height of the hopper or the material of the belt (FDA approved, food contact, …). Incorporating the latest technologies, ICM also carries out feeding systems combining vibrating bowls with industrial vision systems and/or robots (4 or 6 axes, static or tracking). 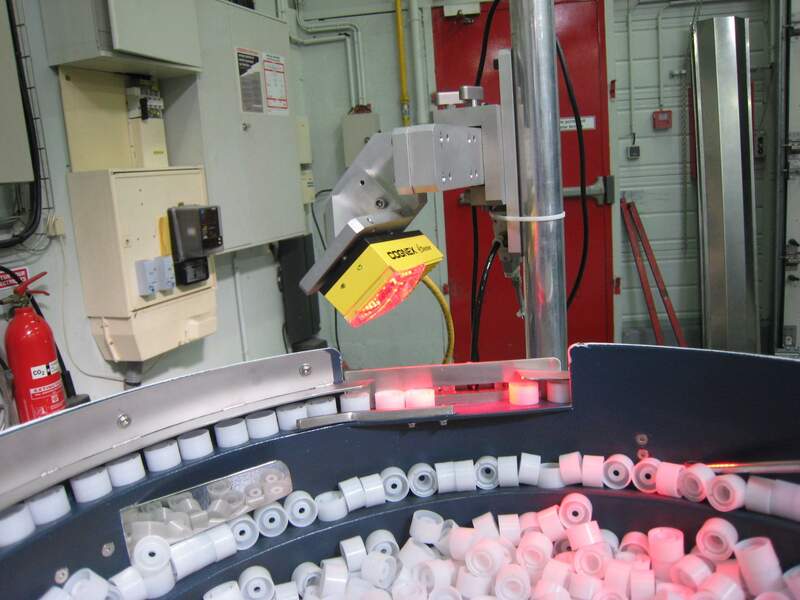 Example of a pick-and-place application where the parts are presented to a camera, which provides information to the robot on their position allowing their seizure and their distribution. 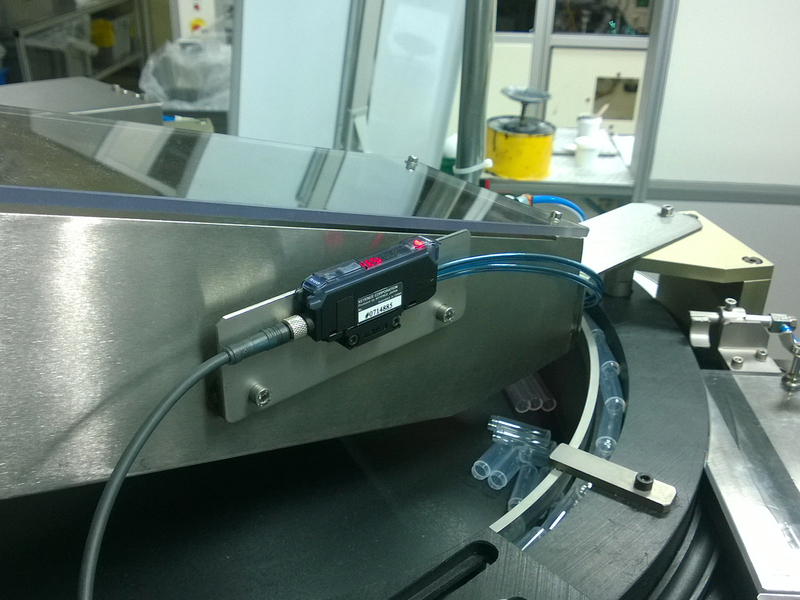 Are you looking for automactic feeding solutions for your production ?